The ruling National Congress Party was formed by the government of Omar al Bashir following his 1989 coup overthrowing democratically elected Prime Minister Sadiq al Mahdi. The party has roots in Sudan’s former National Islamic Front party, and the country’s chief Islamist politicians, especially Hassan al Turabi, were instrumental in laying the groundwork for the coup and – by extension – the NCP.Prior to the coup, the NIF were briefly allied with military dictator Nimeiri, who instituted Sharia law in 1983. In 1986 Nimeiri was overthrown and replaced by a secular, civilian government lead by the Prime Minster Sadiq al Mahdi. During this time, the National Islamic Front, led by Turabi, began recruiting army officers to the party. With Sudan’s economy failing and renewed civil war in the South, the officers, lead by al Bashir, were able to seize power in a bloodless coup.The National Congress Party was initially set up as a one-party power structure in which all political actors could participate (called the Congresses System). By the mid-1990s, the NCP had evolved into a simple political party, with Turabi serving as its Secretary General. A power struggle in the mid 1990s between President al Bashir and Turabi eventually split the party, with Turabi forming the Popular Congress Party, or PCP. The NCP has been effectively controlled by President Bashir since, and has effectively dominated Sudanese politics since it’s inception. Bashir has been President of Sudan since 1989, when he and several military officers overthrew the elected Prime Minister Al-Sadiq Al-Mahdi. AlBashir heads the Revolutionary Command Council for National Salvation. Following the coup, Bashir allied himself with Hassan al-Turabi, the leader of the National Islamic Front and the architect of 1989 coup. 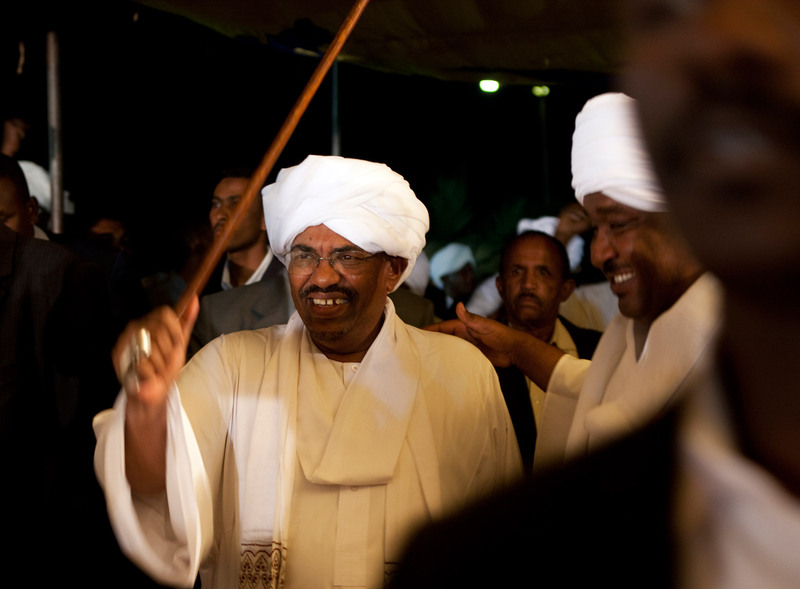 With Turabi’s backing, Bashir began institutionalizing Sharia law in Sudan. In 2008, the International Criminal Court accused Bashir of committing crimes against humanity and war crimes in Sudan’s Darfur region. In March, after more than two decades in power, Bashir announced that he would not seek re-election in 2015. The Sudanese Defense Minister has been accused of directing Darfur’s Janjaweed militias against rebel groups and civilians in the war torn state. In 2012, the International Criminal Court issued an arrest warrant for Hussein for alleged war crimes and crimes against humanity committed in Darfur. In March 2013 the defense minister announced the government of Sudan was willing to negotiate with the SPLM-North based on protocols outlined in the 2005 comprehensive peace agreement. Taha became First Vice President of Sudan in 2011 following the independence of South Sudan. Taha is a former leader of the National Islamic Front but joined the ruling NCP following the political struggle between President Bashir and then-Speaker of Parliament and NIF head Hassan al Turabi. Before the independence of South Sudan, Taha served as First Vice President from 1998 – 2005, and Second Vice President from 2005 – 2011. Along with John Garang, Taha was a key player in the signing of Sudan’s Comprehensive Peace Agreement, which brought an end to the civil war in 2005. Taha also played a major role in the Darfur Crisis from 2003-2004, when he helped recruit and command government allied militias. Adviser to President Bashir and a prominent member of the National Congress Party. After the 1989 coup Nafie was appointed head of the National Intelligence and Security Services (NISS). Nafie has been accused of ordering torture and establishing “ghost houses” to secretly imprison and interrogate opposition. Nafie holds a doctorate in Genetics from the University of California. Salah Abdalla Gosh : Major General Salah Gosh is a former national security advisor to President Bashir. He was the chef of NISS from 2004-2009. He studied engineering at the University of Khartoum, where he organized student political activities for the National Islamic Front. Gosh helped to provide shelter for Osama bin Laden in Sudan in the 1990s. Later, Gosh served as point of between Sudan and the U.S. Central Intelligence Agency on counter-terrorism issues. He also has been accused of helping to Darfur’s Janjaweed militias in the conflict. In 2012, Gosh was arrested and imprisoned for 8 months for his alleged role in in attempted coup against president Bashir. The former Presidential Adviser for the conflict in Darfur and frequent representative of Sudan in talks with the United States. Ghazi also frequently negotiated on behalf of Sudan and is a key figure in diplomatic circles. Ghazi has held several prominent positions in government and within the National Congress Party. Atbani was removed from NCP leadership after criticizing the government’s heavyhanded response to fuel subsidies protests that spread across northern Sudan in October, 2013. Atbani has announced plans to formally split with the NCP and form his own party. Ahmed Haroun is the current governor of North Korodfan state and the former governor of South Kordofan. He is a member of President Bashir’s National Congress Party and wields major power throughout all three states in the Kordofan region. Haroun served as Sudanese Minister of Humanitarian Affairs during the CPA period from 2005-2009. In 2010 he defeated SPLM-North South Kordofan leader Abdulazziz al Hilu in a gubernatorial election that the SPLM-North claim was rigged. Haroun was indicted by the International Criminal Court for his alleged war crimes and crimes against humanity committed in Darfur. Alfaki is the interim Governor of South Kordofan appointed after Ahmed Haroun was moved to North Kordofan State in July. Alfaki announced in October of 2013 that he and the Governor of Blue Nile state would open up official border crossings with South Sudan. SAF is comprised of the army and air force of the Sudanese government. SAF is the main force fighting the SPLA-N in Blue Nile and South Kordofan. SAF’s arsenal included heavy artillery, tanks and aircraft including Antonov bombers, MiG and Sukhoi fighter jets. These are often employed during battles against rebel forces. The PDF is a paramilitary militia comprised of conscripts and voluntary recruits drawn from around Sudan. PDF troops are sometimes recruited from rebel held areas including South Kordofan and Blue Nile. Their forces often receive less training and are less experienced than SAF soldiers. While separate from the professional forces of the SAF, the militia is usually led by SAF commanders in battle. Also known as the Central Reserve Forces, Abu Tira is a paramilitary police unit often employed by the Sudanese government in conflicts in Darfur, Blue Nile and South Kordofan.